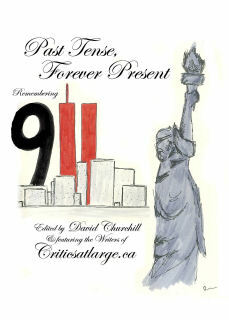 dk: You are also a historian, and often one might think of a history as something distant. But your book feels intimate and alive. How so? ml: Well, I've always had a passion for research. I also have a passion for the subject and for truth, and when you bring these things together, you have the opportunity to get close to something. But finding the information is one thing and knowing how to use it is really something else again, and I have felt that The Beatles story had always have been told rather dispassionately by others. And it’s not that there’s passion on the page [in my book] but that there’s passion in the writing in the sense of being determined to get it right. I wanted to use the information to take the reader close and, as you can tell from reading the book, I do like detail. But detail can be done in two ways: One is a tedious way. If you don’t use detail correctly, it can be quite tedious and quite quickly. You just end up with a whole page of so what? things. 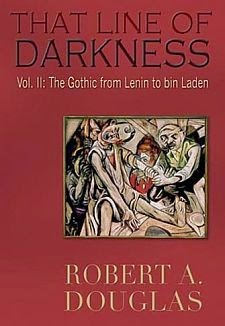 Or, you can use detail in such way as to illuminate the subject so much so that the reader feels that he or she is actually there when these things are happening. And I knew the material could be used that way. All I had to do was go out and get it. dk: Could you tell us about your research methodology? I have read that you are rather meticulous about even the smallest of details on even smaller pieces of paper. Could you explain the process for us? ml: Well, the entire process for me is really a learning curve, if you like. And all I am interested in is finding out about something I don’t already know, provided that I think it is believable. Obviously, from my position, I cannot swallow everything that I am told, or everything that I read. I have to question it. But basically, I am trying to find out as much as possible. 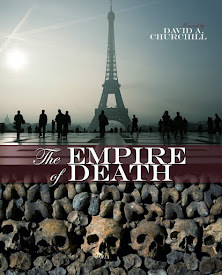 In the introduction of the book, I liken this story to a huge multi-million piece jigsaw puzzle. And my job as I see it is to find as many of those pieces as possible, put them down where they really fit, and then see what the picture is. So I have no preconceived notions. I am willing to learn, and have my own views challenged, in order just to establish exactly what happened as best as can be told. It’s impossible to get everything right. But I strive for perfection, and try to get as close as I can. So I will go anywhere in the world I need to go in order to learn what I don’t already know. So I spend a lot of time in libraries and archives, and a lot of things are sent to me. I am trawling the world, one way or the other for little bits and pieces that just help to illuminate something. And the very act of putting them into a very strict, chronological order makes the bigger picture. So you have this bit from here, that bit from there and this bit from over there, then I am bringing them together into what they show me. dk: How has the Internet impacted your research methods? I assume you started your research before the world wide web was even implemented. ml: I started my research almost before the date of printing! dk: Yes, I can believe it! So how has it affected how you work? 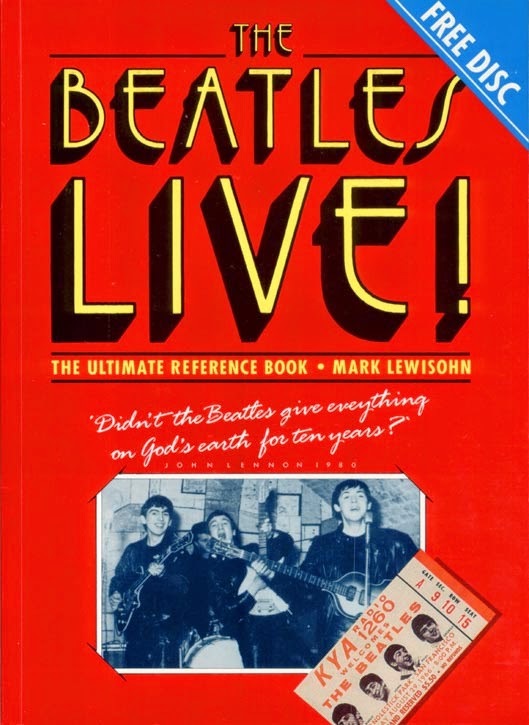 ml: My very first book, called The Beatles Live (1986), I actually hand-wrote. Then I typed it. This was the early 1980s. Of course, I use the Internet now. I would be a fool not to. It has everything, hasn’t it? No, I will rephrase that. It doesn’t have everything, but what it does have it has in abundance, so it is a great aid to any writer. But at the same time, you can not only rely on the Internet if you want to do an original piece of work. By very definition, everything that is on the Internet has been put there by someone. And if you use it you might not necessarily be the only person. You have to go out and do original research. You have to burn shoe leather, as journalists used to do, in the old days. You have to go out there and meet people, and go to the places where information lives. If you merely rely on the mouse, you can’t ever truly have anything that’s original. And of course, although the Internet has so much material, there is so much more that isn’t on there. And in the field that I am operating in, I do a lot of reading of contemporary newspapers and magazines. For this book, I turned every page of every page of the Liverpool Echo newspaper, which was a six nights a week broadsheet. I read every page from 1955 to 1964. That is not on the Internet at all. It simply is not on there. That has to be done the slow way, sitting in a library with a huge, bound volume, one after the other, turning every page and never knowing what might be on the next page. So that is how I research. The short answer is, I go wherever I need to go to learn something. And I am continually learning. People say, ‘Oh, You must know everything there is to know about The Beatles!’ But no one knows all there is to know. dk: You spoke of shoe leathering it, which I agree with you is the best way to pursue journalism. But were you ever a journalist yourself, or what is your background? ml: I am not trained as a journalist at all, and I have no journalistic background. I used the word, journalist, earlier, when referring to shoe leather only because in the time-honoured fashion that’s what journalists used to do. But I was never a journalist. And I don’t consider myself one. I never have. I was a researcher and a writer and these days you can combine them into one word: historian. But I am entirely self-contained. I do my own research, and my own handling of the project, the managing of it, the administration of the project, and ultimately I write it. We all have life skills. And there are many things in life that I can’t do. But it just so happens that attention to detail, a retentive memory, a passion for research and an ability to write my research in an interesting way, these are things that come naturally to me. There is no training for that. It’s just something I can do, and I am fortunate that I am able to apply them all to one discipline, which is writing a book. dk: But how did you make yourself known as a researcher at the beginning? 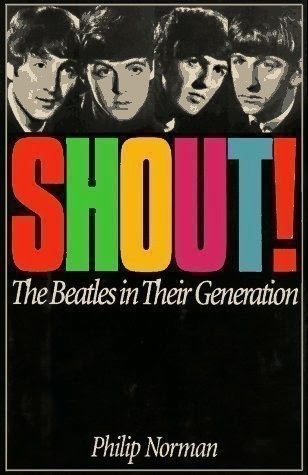 How did someone like Beatles biographer Philip Norman, for instance, know to use you when he was writing Shout!? ml: Well, if I could just finish the first bit. When I left school, I got a job at the BBC, and I was always good at figure work – that runs in my family – and so I got work as a kind of accounts clerk. But the key thing about all of that is that every since I was an infant I have loved libraries. And I was always interested in research, even as a child, documenting my childhood interest in sports, and that sort of thing. On my first day at the BBC, I went on an induction course, and the woman who was running the course announced that in the very building we were sitting, the BBC had its main, central library. So that lunchtime, I took myself off to the library and another world opened up for me. I had never been in a reference library of such quality before. And in all the years I was at the BBC, I was doing research in my spare time, including my first Beatles project which was about The Beatles at the BBC. So really, the accounts thing was just a job. But while I was doing it, I discovered what it is I really wanted to do. Then I left the BBC. My next job was at Music Week, where I was research manager. But not journalism. It was more the compiling of the charts and the new listings and airplay lives and that kind of thing. In 1976, I won a quiz about who knew The Beatles more than anyone else. dk: And where was that quiz? ml: It was in London, at London’s first Beatles Convention. There weren't many people there, so it was relatively easy to win the quiz. But someone had to win it and it was me. 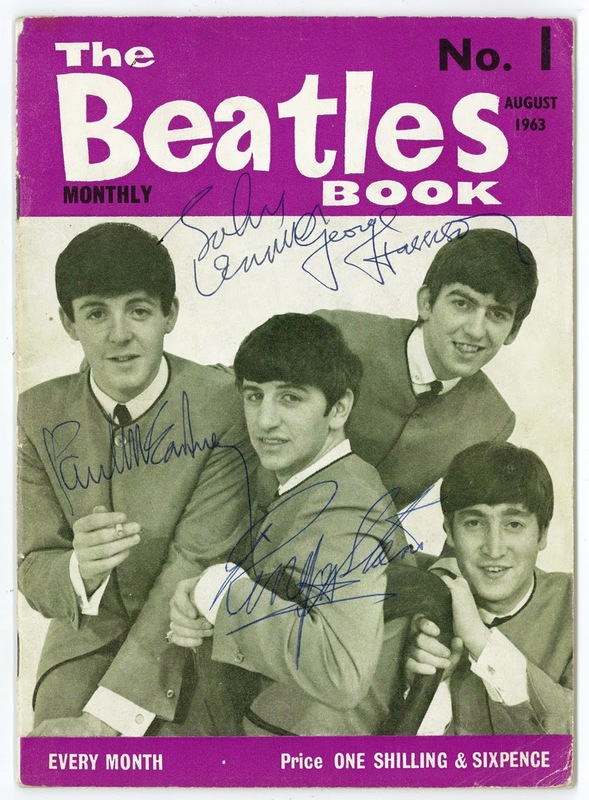 Soon after that, I started helping out on The Beatles Monthly magazine, which had just been revived. It used to be around in the sixties, then it closed and in '76 it revived. I was 18, and I started offering them my services, which they accepted. And it was through that avenue that I came to meet Philip Norman. He wanted to meet someone who was a kind of studious Beatles fan, if you like. And when we met it became clear that there were certain areas of the story he was unclear of. There were certain areas that were cloudy. And I said I would research them for him. I was 21 and he said, yes, that would nice. So I still had a job, but in my weekends and evenings I did this research for him. I was so intrigued by the findings, that I just carried on after that. I gave him what he wanted and then carried on researching and I haven't stopped to this day. 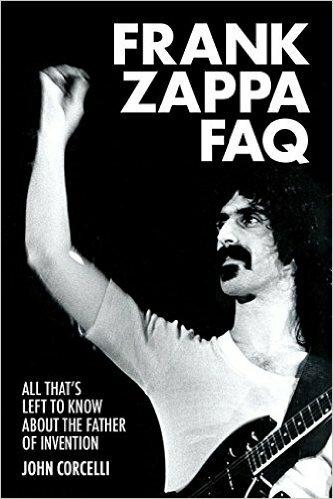 dk: By the way, what do you think of his book, Shout!? I don’t mean to be putting words into your mouth, but your intent, I think, is to correct a lot of mistakes that have become fact as a result of other people’s biographies of the band. Could you bring that into perspective? ml: Well, when I was less mature, I did want to correct other people’s errors. Errors always offended me, particularly when they resulted from laziness. And I had always wanted to correct other people's errors. But I've grown up, a bit, since then, and with these three books I'm writing, I'm not interested in correcting anything. I'm just telling the story from the beginning. I am starting fresh. And along the way, I am debunking myths right, left and centre. But I am not pointing out what they are, because it is not relevant. Shout!, when it came out in 1981, just after John Lennon was murdered, was the second Beatles biography, with the first being the Hunter Davies biography which came out in ‘68. And it was reckoned by a lot of people to be better than the Hunter Davies book. And because I am in it, and because I was young, and because I was blinded to it, I thought it was a great book. And a lot of people do. It is so stylishly written, and all of that. But the older I've got, the more I see where I can no longer agree with my original opinion. Well, Philip Norman came up to me at a recent event and said he professed himself unhappy with some of the things I've been saying about his book, so I need to be delicate here. But I do think that it is out of date. It left scope for the job to be done again. 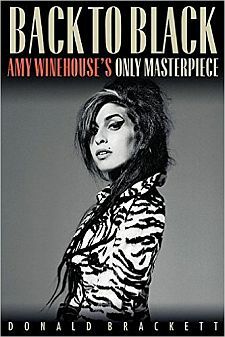 That book has had 30 years in the sunshine, but it is in no way the definitive book. I am hoping to write the definitive book that is a lot more comprehensive and is also much more deeply rooted in research. dk: You say you no longer can agree with your earlier opinion. How else has the research challenged your own preconceived notions of The Beatles story? I'm wondering if we can talk for a moment about Ringo, for instance? ml: It’s very easy to be persuaded by the mass of popular opinion which often can be based on very little research, or even none. 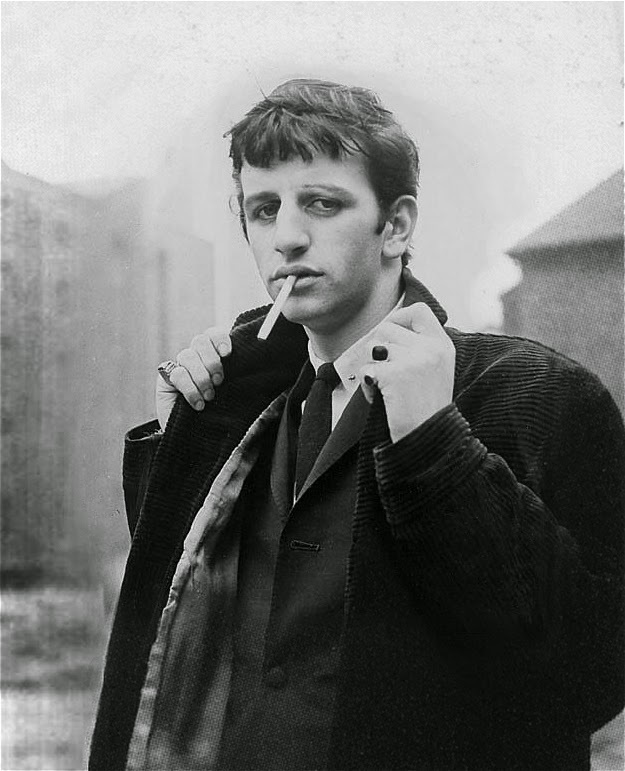 Since 1963, when The Beatles first became famous, the view on Ringo in Britain has been that he was lucky. So that’s the popular opinion, and it is voiced by people who have no real knowledge of what happened, but they've gleaned it along the way. And really, I think, that kind of thing comes down to just human nature. We human beings, we do like to bully people, collectively. And it’s very hard to pick on John, Paul or George because they’re at the front line and were considered to be more handsome, and wrote songs and sang them. And the guy at the back doesn't sing very much and doesn't really write the songs and has a big nose and a bit of a silly stage name. And he joined just before they became famous. Obviously, he was lucky. That’s the feeling and it’s prevailed for 50 years. But there has to be more to it than that. Why did John Lennon and Paul McCartney and George Harrison, who were always very strong with their opinion, and very sharp-minded young men, why did they choose this guy and not anybody else? I mean: Was it random? Of course it wasn’t. When he had played for them a few times previously, just in guest slots, they loved the experience. And it was right with him and wrong without him. And also they liked his personality. He was strong and tough like they were. And he would stand no nonsense just as they also stood no nonsense. So, he was perfect for them. And he was perfect for them all the way through. And still is. Ringo Starr: The Early Years. dk: How surprised are you by this slighting of Ringo? 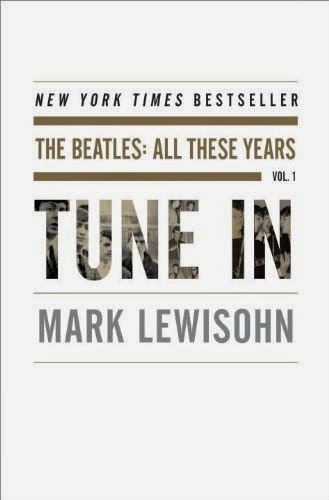 ml: It’s really rather shocking that he’s been given such short shrift for 50 years in other books on The Beatles. The train of thought which Hunter Davies began, and the method he chose [in The Beatles’ first biography] was that he wrote a chapter on John, then he wrote a chapter on Paul, then he writes a chapter on George, then he writes about them together. And eventually, after they've been together a few years, they get Ringo as their drummer. So you tell their story, and then you go back and tell his story, you know: who is this guy they brought in? And it’s all over in two or three pages. Well, I wanted to do it differently to that. I wanted to tell the story strictly sequentially. They’re all in Liverpool at the same time. They are hanging around one another in clubs. They are meeting in record shops and they are in Hamburg at the same time. Actually, this is how they know him. And I think, in order to show the development of that relationship, you can really only do that by telling the story in strict, chronological fashion. dk: What other characters in The Beatles' story have you revisited and why? ml: Clearly Brian Epstein, who I bring into my story earlier than before The Beatles meet him. They had already known of him. 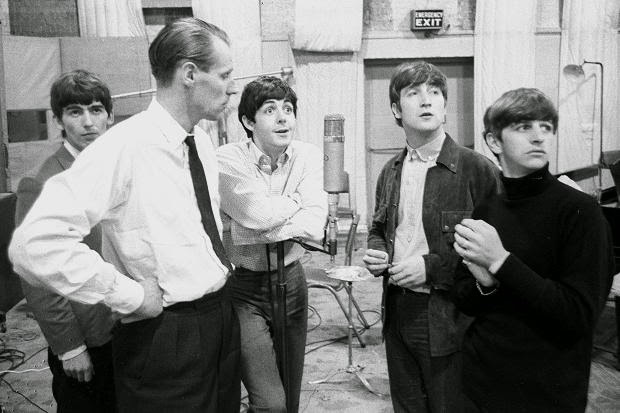 And George Martin, if you look at the extended version of my book, I bring him in in 1945 because in the fifties he’s producing records that are influencing them. So I wanted to tell the story in a different way and to use a different discipline in the writing to make so that you've got lives weaving in and out of one another until eventually you might get something like a railway track, where lines actually cross, but then eventually these people come together and form a unit. So that’s one element of it. Another element would be probably one of the biggest things in the book, which is exactly how The Beatles got their first recording contract with George Martin. dk: You describe that Beatles' early story in a whole different way than previous biographies.Why? ml: I, like everyone else, had no choice but to swallow the stuff that I've been fed in books all those years, [including] George Martin’s own book, Brian Epstein’s own book, and The Beatles’ biographies. And it all began to become unhinged when I got access to EMI’s archives and found the paper work, the trail that led to the issuing of their contract, the hallowed first recording contract without which we wouldn't be talking about them now. And I was shocked to discover that the dates of the requisition of this contract, and the whole paper trail, really pre-dated George Martin’s sighting of them. He hadn't met them when he was issuing a contract. And that changed everything. But I did not understand why. I did ask George Martin, many years ago, back in 1992 when I discovered these papers. I laid them out in front of George, because I've known George quite a long time, and asked him to explain them to me because they weren't making any sense. I could see what they were telling me but I didn't understand what the reasoning was behind it. 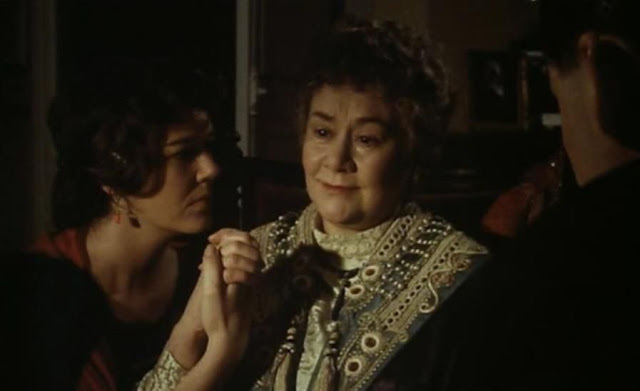 And he said, ‘I don’t understand this, either.Why would I have signed them before I saw them?’ And I said, ‘Well, I was hoping you would tell me.’ And he said, ‘Well, there must be some mistake.’ But there weren't mistakes. And so that left me feeling dissatisfied, knowing there was more to the story and frustrated that it was evading my grasp. George Martin producing The Beatles. dk: How did you come to crack it? 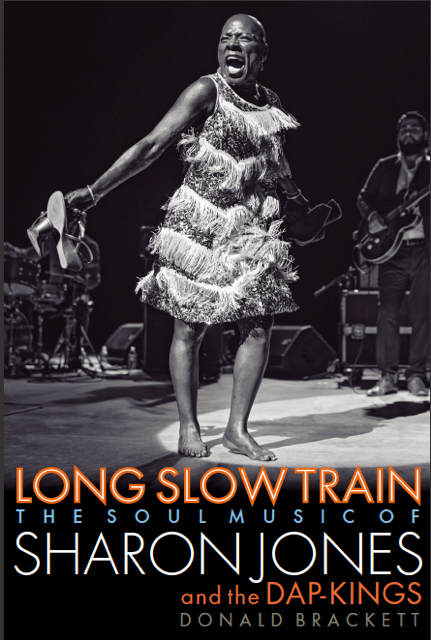 ml: It all fell into place when I met a man called Kim Bennett, who was in music publishing in London without whose incredibly tenacious efforts – and he was never named in any book – we would never have heard of The Beatles. He literally was the story’s hero and he tells us a very different story. It makes it that much more real that George Martin had his arm twisted to sign the group. But, of course, he gets credit. As soon as he met them he recognized that they were original and that he could work with them, provided that there were certain obstacles that were overcome. And eventually, after five or six months, they fell into that incredibly easy, mutually beneficial relationship that underscored all the years of creativity ahead. But one more thing about the documents in the EMI archives: The books I am writing are really the first Beatles’ biography, or history as I prefer to call it, so deeply rooted in original documentation. I’m never happier than when I am in an archive, turning up information. And I look particularly for letters and for correspondence, contracts and so on, that are dated and are of the moment and are not subject to the fallibility, or frailty, of human memory. They are original archive documents and this really is an archive documents history I am writing, and my own archive is very strong in that regard. I collect information more than anything else, and most of it is to be found in documentation. And I'm never happier than when I am finding it. There's a lot to be found. Just this year, when volume one came out, I found so much stuff that I had not realized was out there before. dk: You’ll have to footnote what was meant for volume one in the remaining two volumes of your history, so we can get an even fuller story. ml: I will use it, somehow, perhaps in a later edition in years to come. Something like that. I am not interested in possessing this thing. I mean, you get collectors of these things and they want to be the owner of it, and they don’t want anyone else to see it. My job is to share. My role is to discover and share so that the history of this band, and all the things they influence, and then in their context, is illuminated more than ever so it can be understood more than ever. And that’s my job. dk: Why do you want to illuminate this band for all of us? ml: Because for me they are the stuff of life. I can’t remember a time when I did not know about The Beatles. I was five years old in 1963, and I remember quite vividly early Beatles from five, six and seven years old. I always found them hugely interesting and obviously fascinating. Not only did they change the world, not only did they put out music that has sustained for 50 years and will carry on sustaining, but there is something about their story that is just extraordinary. It is phenomenal. It goes everywhere, it touches everything. It really is a brilliant history. They’re the best band with the best history of any band, and probably the only one like it that has existed in the history of popular culture. Their story is a phenomenal one, and I find it endlessly interesting. If I were a multimillionaire, and didn't need to do this for a living, I’d do it anyway and just because it’s so rewarding to discover all this stuff. And it’s also because of them. They were such interesting people. 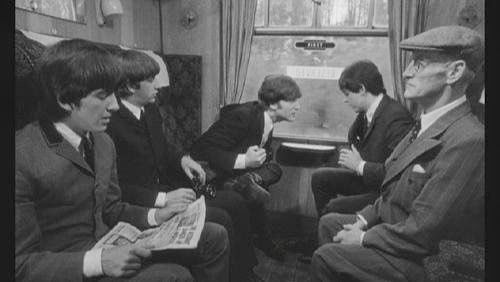 dk: Let’s jump now to Toronto where you will be attending a commemorative screening of A Hard Day’s Night at the Revue Cinema this week. 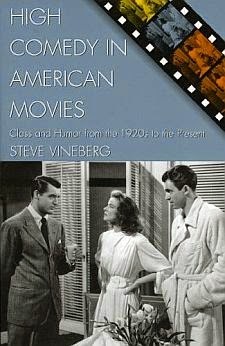 You will be talking about the film, and I’d like to know how much of what you might say is already part of the as-yet-to-be published volume two of your history? ml: Well, I've researched it thoroughly already. But I've not yet completed my research. I have been researching A Hard Day’s Night for a very long time. One of the books I wrote is called The Beatles’ London, and it is a guide book to places in London that have a connection to The Beatles. This was backgrounded back in the 1980s, when researching Beatles’ film locations. And so I’ve been on the A Hard Day’s Night research trail for a very long time. And that carries on. There are still a couple of archives of papers that I need to see. But it does look I will be getting into those things, and I am very pleased about that. So A Hard Day’s Night. I mean, I saw it as a child. And I interviewed Richard Lester on stage in London just the other week, at the British Film Institute, and we watched it there. It’s such a good film. dk: I think it’s very funny and it’s a time capsule and also very exciting to watch, don’t you find? ml: Yes, very much so. And it’s full of character actors whom I knew growing up in Britain and saw often in other things. It has all sorts of people playing different roles in it that connect me to other strands of British popular culture. And that probably isn't an experience that can be enjoyed outside the UK. But obviously you don’t need it either because you can enjoy the film, regardless. But it does help. It adds another dimension to have all those connections to other films, other TV shows, that I used to see. 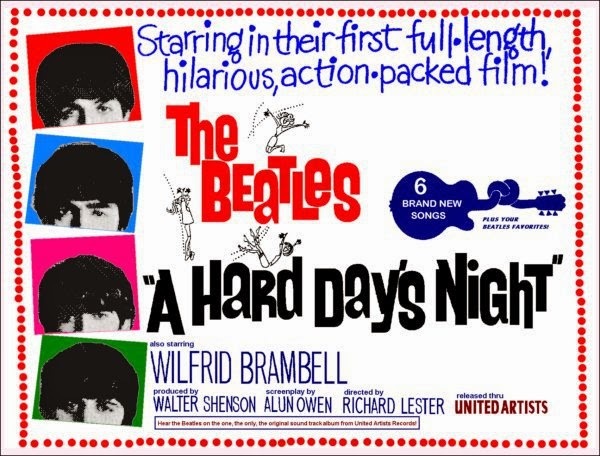 A Hard Day's Night is just a very fine British comedy film by a brilliant American director who had come to England in 1955 and who was thoroughly accustomed to the English sense of humour. 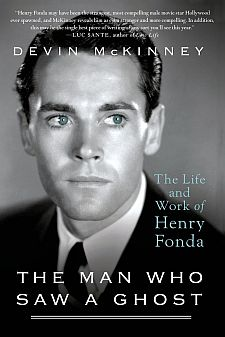 His relationship with Peter Sellers and Spike Milligan and so on endeared him enormously to The Beatles because he had been making the kind of thing they had been loving before they were famous. And just as they had the producer of Peter Sellers and Spike Milligan making their records, so they had their film director making their films. And all this pretty much happened by coincidence. Once again, it’s part of the magic that makes this story so interesting. 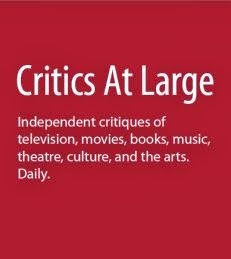 In volume one of my book I legitimately mention Lester, even though they haven’t met him yet, at the point where he’s making films that they like. dk: Can you talk about their look in the film? Which is the look of 1964, now immortalized by A Hard Day’s Night? 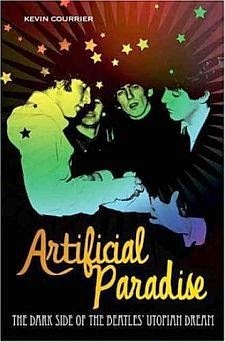 ml: Yes, well, The Beatles’ primary influence as you know from reading Tune In, the primary influence on their look was the trio of friends in Hamburg – Stuart’s Angels Friends as John called them – Astrid, Jürgen and Klaus, and whose own influence was Paris. So The Beatles got a Paris look via a German filter, if you like. But essentially their look was Parisian. And when they came back to England with it, everyone laughed because it looked so strange to have the hair down in a fringe. And the clothes that they wore were laughed at. But The Beatles always had the courage of their own convictions. So you’re laughing now but you’ll be copying this tomorrow. And sure enough, pretty much everyone was. And it was a look that was very strong in 1963, and everyone was remarking upon it. But really the look was most settled in 1964, and A Hard Day’s Night happened at a time when their look really did look right on them. They suited the look and the look suited them. Their hair was terrific in the film. I know that sounds strange. dk: No, I get it. ml: I mean, it might sound strange for a man to be saying that but it does. It’s just part of their appeal, the way that they look. It’s quite obvious. They look great. But it’s the Paris look, really. Everyone thought it was theirs, but actually this typifies The Beatles’ strength. Either they were originating things as pioneers or when they were not they were popularizing. One or the other. It was always one or the other. And where they went everyone followed. dk: Why have you not sought out collaboration with the two remaining Beatles? Why have you done this at a remove from them, in an un-authorized way? ml: They don’t authorize other people's projects by granting interviews. They do a lot of interviews to the media when they're got a product to promote, like an new album or a new film. But they don’t generally speak to authors of books because it lends the book an authority which they haven’t given. So I didn't expect them to get involved. And it’s always been for me crucial that this book clearly be seen to be independent. It is not authorized in any way. But it has the benefit of years of insider knowledge and perceptions, besides which, these guys are getting old. Despite what Paul said in his Rolling Stone interview this week, their memories are no longer a hundred percent. They couldn't be. No one has a memory that is a hundred percent when they reach their seventies. Not for the level of detail with which I wish to tell the story. So I don't really need them is the honest answer. I would like some co-operation form them in terms of archival access in years to come. And I’ll be pursuing that, and I have no idea whether or not I’ll succeed. But if I was offered the choice tomorrow, to have access to their archives, or access to them for another interview, I’d choose the archives every time. 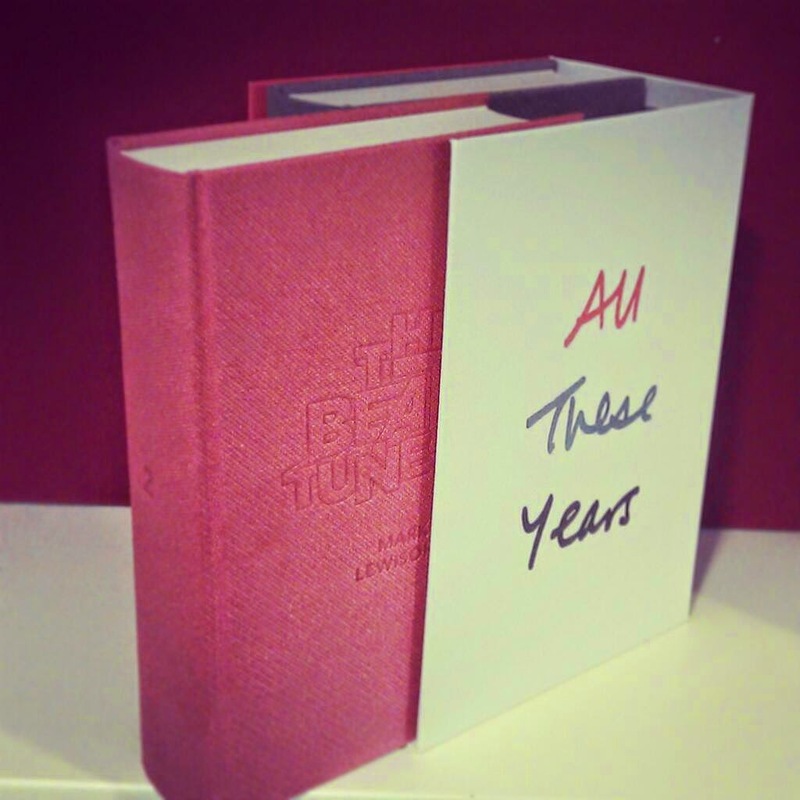 The Beatles are in this book, all the way through, because I’m quoting these interviews that have been done in the past. So I don’t need them to yell me stuff now. I’ve got all this other stuff to use. dk: When do you expect the last two volumes to be wrapped up? ml: I'm not entirely sure. Every time I made a prediction on volume one it ended up being quite wildly wrong. The whole essence of this project is to not cut any corners. I want to get it right this time because it will never be done so thoroughly again. All the witnesses will be gone. So I’m doing it as fast as possible. I’m not doing anything else. I’m doing it today. I’m doing it everyday. But it’s taken years. Robert Caro's Lyndon B. Johnson books are a good comparison to mine, but I'm a little quicker than him. But I do understand why it’s taking him all these years. So I don’t know. For me, maybe about 2020 for volume two, perhaps 2028 for volume three. But don’t hold me to that. ml: Ah, yes. I shall be in my seventies by then, which is somewhat frightening because I need to sustain the schedule that I've been maintaining for years. I'm still maintaining it now in my fifties. But can I do it in my seventies? I’ll find out when I get there. But it’s all about keeping an open mind. Keeping your eyes open and your ears open and your mind open. 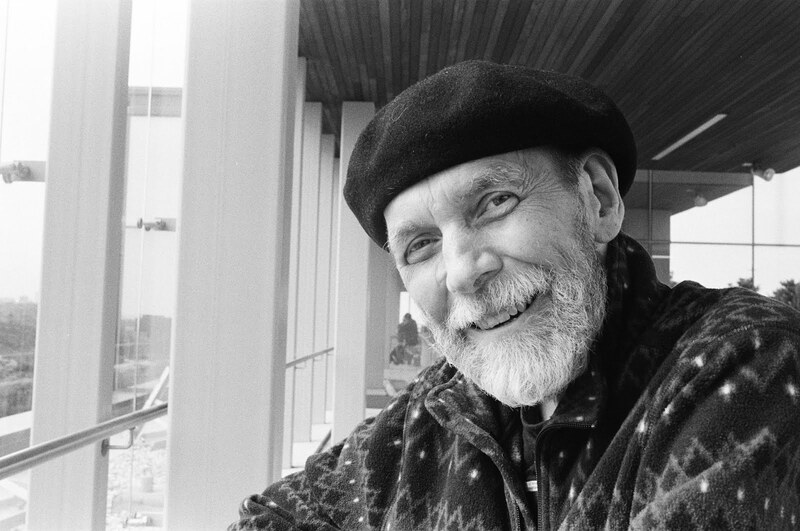 A great interview with a fascinating author - thanks! 2028 for the third volume? Oh Man! I won't even be alive to read it. Deidre, thanks so much for this interview. You asked exactly the right questions - questions I've been looking for answers to since volume 1 came out. 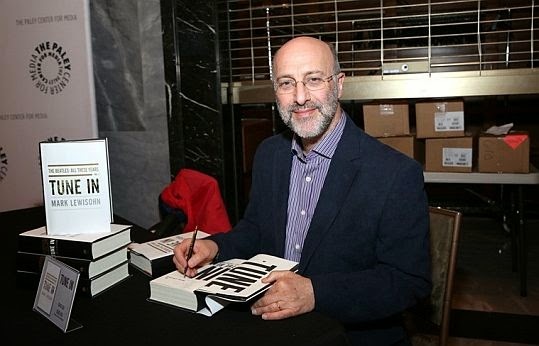 You're probably the first person to really ask Lewisohn these things. So, thanks!